BMW is always at the forefront of vehicle technology, and this time round they are at the top of their game once again. BMW Group Research and Technology and NXP Semiconductors have teamed up to release a prototype of the world’s first multifunctional car key. This prototype comes with contactless payment, personalized access control, and advanced functionalities such as public transport e-ticketing. All these features are meant to deliver an enhanced mobility experience – as if traveling around in a BMW isn’t already an enhanced experience by itself. Guess the car key is no longer a tool to start your vehicle, but enables one to perform quick, secure and convenient electronic payments with a car key. 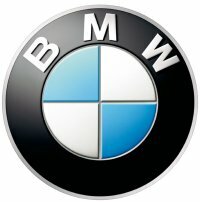 BMW forsees a future where car owners will be able to perform contactless payments for ad-hoc transactions like general shopping, paying for gas, public transport, parking and road tolls, doing away with the need to carry cash and extra cards. Guess this makes it a whole much safer affair to move around without worrying about getting mugged, although things get much more complicated if someone steals your car key. The car key will function as a personalized credit card and enables future customers to securely gain access to personal data and be authorized for personalized in-vehicle online services in any BMW vehicle that they own or drive. In addition, the personal credit card key can also be registered on a temporary basis with other cars. This new smart key prototype will rely on NXP’s SmartMX P5CD081 series which comes with smaller antennas compared to standard smart cards, making it perfect to integrate into a wide range of different form factors. Well, the next thing you know, your cell phone will not only function as a credit card but car key as well.